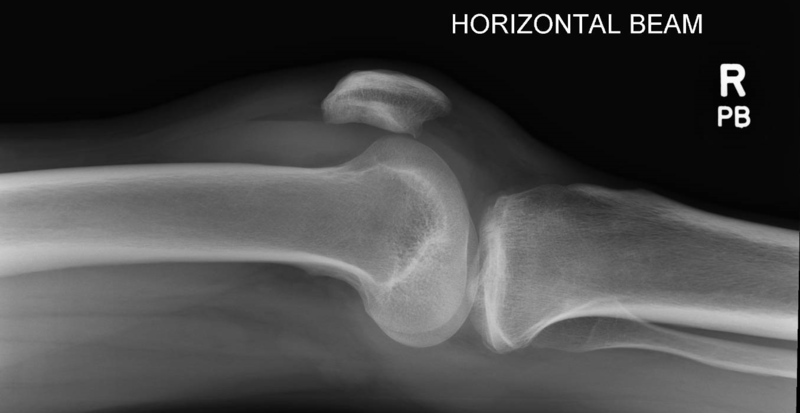 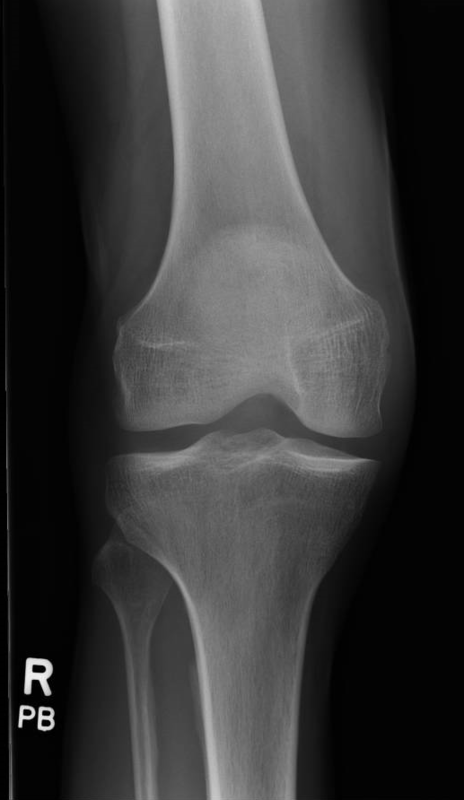 On the following x-rays, there is no obvious fracture, but the is a fat/fluid line which indicates the presence of a lipohaemarthrosis, which in itself correlates with an intra-articular fracture. 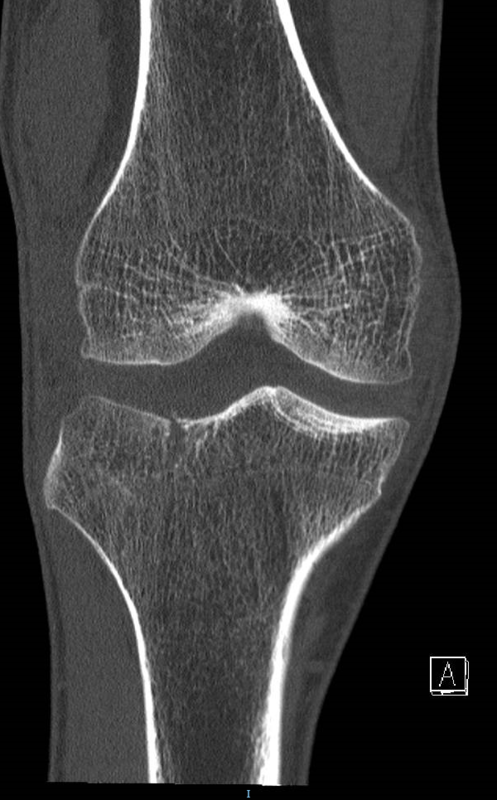 In this case, further imaging is required. 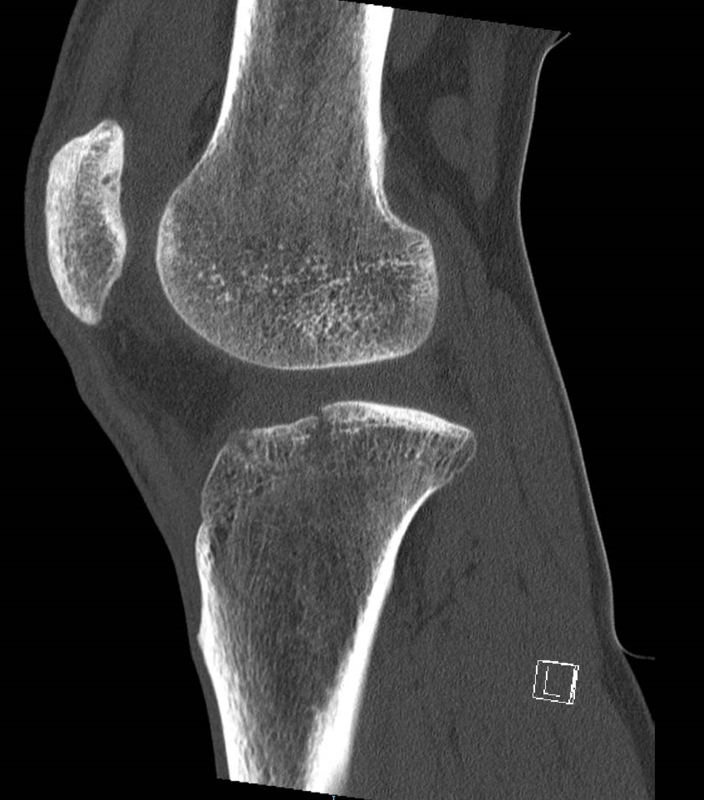 In the same patient, a CT scan demonstrates a vertical fracture in the lateral tibial plateau.